Elliot bedside table by Philippe Hurel. 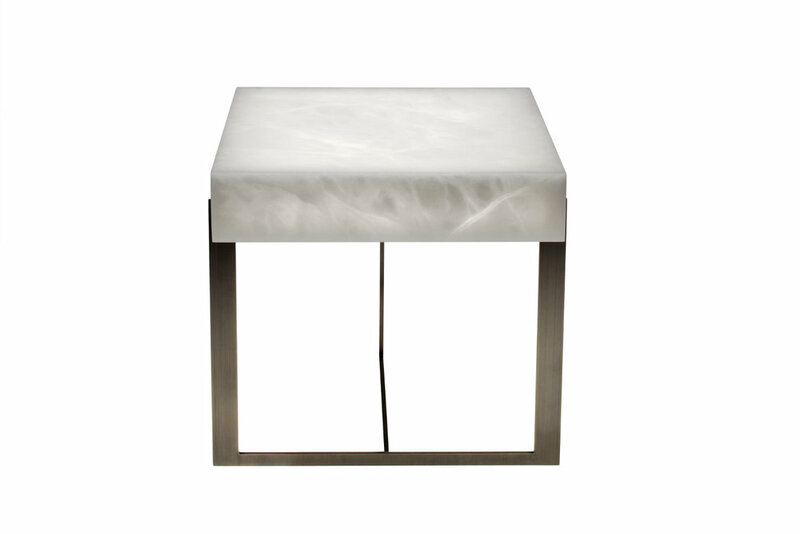 Precious stone set in a mounting, sealed in a structure that is light and slender setting off a luminescent alabaster block. Precious stone set in a mounting. Sealed in a structure that is light and slender setting off a luminescent alabaster block. Light and form provide resonance and convey both strength and fragility through the simplicity of design. Casing in back-lighted alabaster. Legs in bronze medal patina finish. 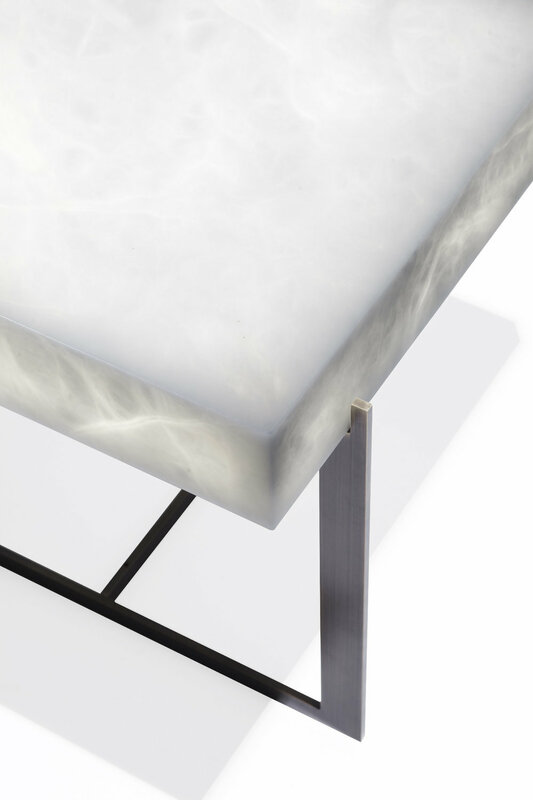 The perfectionism of Maison Philippe Hurel combined with the expertise of Ateliers Alain Ellouz, specialists in alabaster design, provide new creative fields for exploration.